Bitcoin Stash will be a hard fork of Bitcoin Cash. With each passing day, as the true value of cryptocurrencies become better understood, the threat of 51% attacks on the Bitcoin Cash network becomes more imminent. Corporate and private interests, combined with greed and incompetence has corrupted the security of the chain. We will provide the solution. 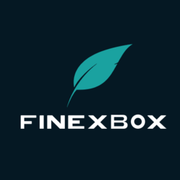 Bitcoin Stash is listed on FinexBox! Registration at simplypool.net is optional, registiration gives you access to the dashboard which contains mining information. Bitcoin Cash Problem Part II: ICO Platform or Scam Platform? Feel free to join our Telegram channel and ask questions!